It's beginning to look a lot like Christmas! It's that time again for my 12 Kits of Christmas post! 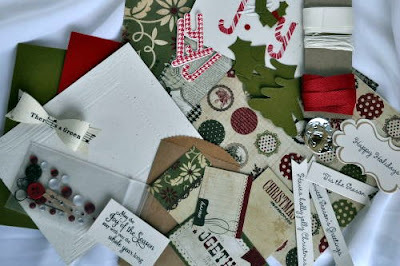 This month was MY month to be hostess and I sent some of my most favorite holiday diecuts and papers to the group. Most of the goodies were from Lil' Inker Designs and so I sent a little of everything. 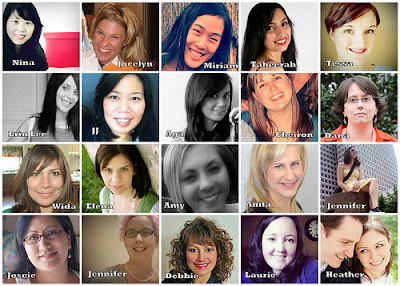 I think you will be VERY inspired by this month's group posts! I put together 4 cards using my kit but I plan on CASE'ing cards from this group too! 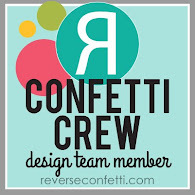 I just know I'll get some fabulous ideas and designs from them! In no particular order......this first one I have to say this is my favorite! Well, I'd love you to go visit the rest of the groups posts to see what they did with my kit! Thanks so much for stopping by! 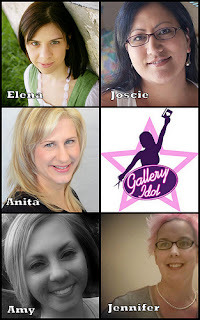 Please scroll down or click HERE for my Final Round entry for Gallery Idol. I'm in the Top 5 and would love to have your vote! Here's my card. Just stopping by today to share a card made for the Moxie Fab World's Stamp It! Cards Week: The Hello Card Challenge. My cards uses all PTI goodies as well as papers. Hope you are having a fabulous week. It's been very hot here in Kansas so we've been doing lots of swimming! Hugs! All supplied from PTI unless stated. OMG! I am so excited to be here today! If you hadn't heard, the Top 5 were announced on Friday morning for the Paper Crafts Gallery Idol competition and I was ONE of them! 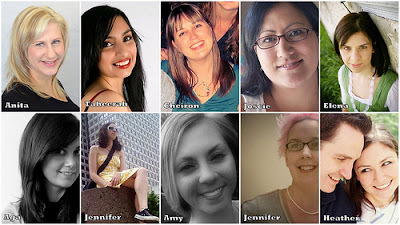 Check out the post HERE for all the details and the other awesome gals whom I share this spotlight with. Thank you so much for all of your support and I am so very touched by all of this. You have no idea! So this is it.......the FINAL ROUND. This rounds challenge was to create an "INTERACTIVE BIRTHDAY" card. When the post went up with the challenge, I immediately had an idea. I've wanted to make a "scratch off" card for some time and thought this was the perfect opportunity! I'm sure most of us have had the chance to scratch off a lottery ticket or a game piece somewhere and let's face it......it is fun! First, I decided to use the Movers and Shakers: Sliders dies from PTI. I've used these dies with some new paper from Echo Park: So Happy Together. These papers coordinate beautifully! My focal piece is a new die from Taylored Expressions: Petal Pop-ups 2. Wow....I love love this floral die! This die can be layered or left alone.....here I layered 2 of the blooms and added a button center. Ok, now do you see it? Once you pull the tab, the slider comes out and reveals my "scratch off" areas! For my card here, the sentiment is fully unveiled when the recipient scratches off the 3 circles! So the entire sentiment reads, "Wishing you love, laughter, smiles on your birthday!" Like last week, my sentiment is computer generated to say exactly what I wanted! 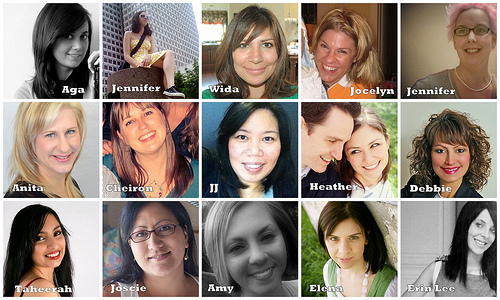 Here you see some of the revealed sentiment.....smiles. I just love how easy this was to do! I used the directions found HERE. Simply, I used a mixture of metallic acrylic paint and dishwashing soap and painted it on the non-paper side of ConTact paper. Once I had several coats done and were completely dry, I punched out 3/4" circles from this. Then all I had to do was peel off the paper backing and place over my sentiment words that were to be hidden! I am quite sure that the recipient will not only love to use the slider part but also the scratch off too! Today's card has a special little spot in my heart. I used to sing "You are my sunshine" to my daughter when she was a baby. So when I first saw Sure Miss You from Market Street Stamps, I knew I had to have this stamp set! So again, I have used more of the Lil' Inker Designs Cloud Dies done in Soft Stone to represent the gray skies. I just LOVE the detail with Laura's dies! 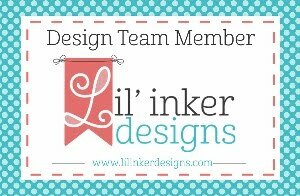 And you just wait, there are new goodies coming from Lil' Inker Designs in July and they are just too cute! So stay tuned! Isn't this cute? I think I will give this card to my daughter sometime when the time is right and she needs some cheering up! Well, that's it for today. I have a very busy schedule the next few days. I am going to Schlitterbahn with a very good friend Thursday and then I'm off to the Country Stampede this weekend to see the Zac Brown Band and Toby Keith! And just like typical Kansas weather, it's going to be HOT. So far this spring, it hasn't been too warm but of course this week is the week it decides to be hot! Oh well, good friends and good times! Top 10 on the Paper Crafts Gallery Idol card contest! I'm so absolutely honored that I am in this group of AMAZING, talented papercrafters. for taking your time to go vote for me! This rounds challenge was to use HOUSEHOLD items! Things found around the house—hmmmm. Gosh, I had lots of ideas of household things but would they work?! 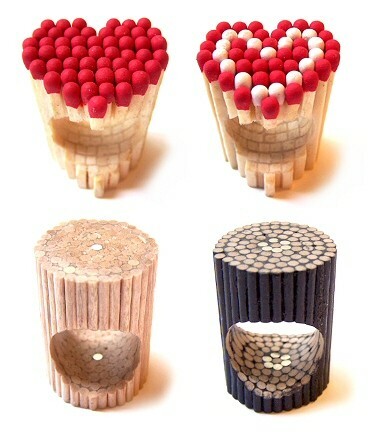 Well, I finally decided to use MATCHES. I have my SIL to thank for this one! She threw out lots of ideas but it wasn't until she said matches that an idea came to me! So my idea was the sentiment but now I had to tie it all together. I found this picture on Pinterest and adapted it for papercrafting.....I made my own embellishment! I cut off the tips of the matches and glued them onto a heart diecut from Lil' Inker Designs. Here are the how-to and inspiration photos. From here, I diecut lots of clouds from the Rainbows and Clouds dies from Lil' Inker Designs. I knew these would be the perfect clouds for this card as I wanted that little extra texture of the perforations Laura adds to her dies. 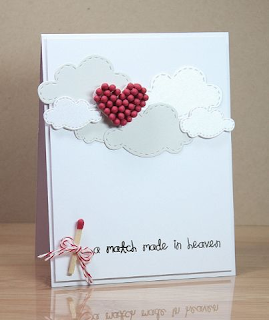 I used Soft Stone and Shimmer cardstock from PTI for my clouds for the added color to the otherwise white card. mini match to tie the whole thing together. I love how it turned out! Ok friends......I hope you like my card enough to go VOTE for it HERE. I'd love to have your support and wouldn't be in the Top 10 without each and every one of you! You have until Thursday at 1pm CST to go vote! Just a quick note to click HERE if you haven't already voted for who you would like in the Top 10 of Gallery Idol! I would love for you to vote for me but let me tell you that the other girls had fabulous card sets as well! You have until 1pm CST today to vote! 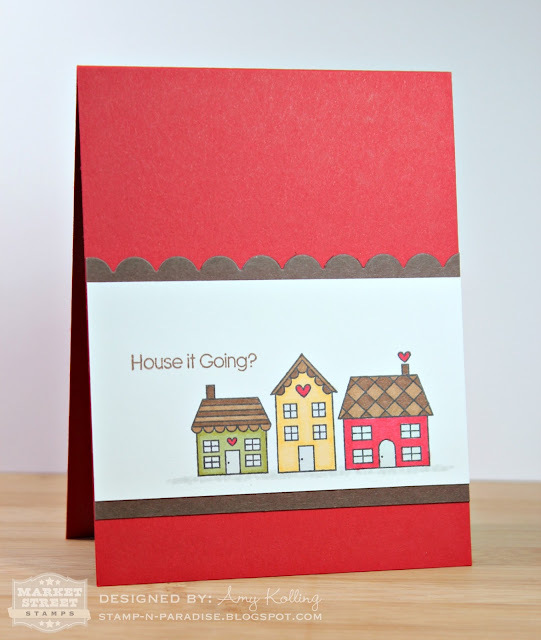 My card uses the mini stamp set Neighborhood and for $5.....it is a steal of a deal! Colored in with some Copics and you have a simple but fun "punny" card. The sentiment is from the larger set called Home Sweet Home. 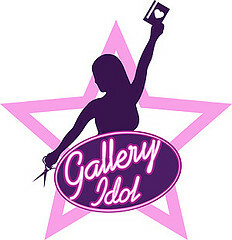 Top 15 on the Paper Crafts Gallery Idol card contest! I could not have gotten here without everyone who has taken their time to come vote for me. This round's challenge was to create a card using a product for both a masculine AND a feminine card! I decided to break out my NEW Texture Plate from Lil' Inker Designs. 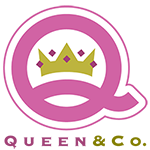 If you have visited my blog lately, then you know that it is an AWESOME product that I dearly LOVE! The other product I used on both cards was some sweet new denim paper from Simple Stories Summer Fresh line. My color scheme was totally inspired by THIS paper by Simple Stories. I just fell in love with this paper. I used Sky ink from Amuse Studio for the letterpress color on the woodgrain frame. I then carefully used a craft knife and ruler to cut out the center of the frame. I then sewed together the pattern papers with a zig zag stitch and layered them behind the frame. What about those flowers? They are the rose dies from Cheery Lynn Designs.....miniature, medium, and large. You may be thinking......she cut all those out?? Well yes, but this die is like a border die and can cut 6 roses at a time! Saves lots of time! Simply thread with a brad and adhere! Hi ya! I'm back with another Kim Geiser inspired card using a new stamp that was just released last night from Market Street Stamps! But more importantly, did YOU order? Are you waiting on your new stamps? Well, this is your chance to use what MSS you already have and come to the Block Party! My card uses the new stamp set called Grow. As soon as I saw this stamp, I knew exactly what medium I was going to use to color it! However, I had to dig it out because I haven't used it in a long time! Have you ever heard of Watercolor Palettes by US ArtQuest? Well I have had the Stargazer colors FOREVER. Probably one of the first things I purchased when I was a demonstrator for The Angel Company. Now you can purchase them HERE and see the other color options! I LOVE LOVE these! The pearlescent and metallic colors are perfect and sooo easy to use with embossing. I first embossed a white panel and embossed with black embossing powder. By doing this, it is absolutely *almost* fool proof to color this in! :) The embossing resists the paint and so there is VERY little room for a mistake! Here is one last pic to show the shimmer and shine of these watercolors! 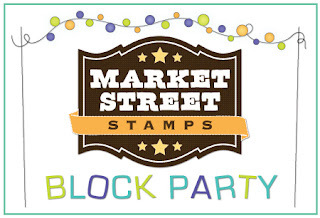 We would LOVE to see your Market Street Stamps creations for the Block Party that continues into the weekend. There may even be a prize up for grabs! Hi everyone! First, I want to Thank You all for your support the past few days! The Gallery Idol 2012 experience has been amazing........seriously. Even through the stress of creating my card, I can say it has also been FUN! You still have time to go VOTE for me or any of the other talented girls in the competition. If you want to throw a vote in for me, click on my card to the right which will take you to the site to vote or click HERE! I'd love to have your support! Ok, now I have a fun QUICK thank you card using a new stamp set from The Craft's Meow called Typically Teen! I just love this set and know it's going to get some use for those pesky "boy" cards I have trouble with! So that's it today! Remember if you have a minute......I'd love to have your vote for my card for Gallery Idol. Voting ends tomorrow at noon! If you are here for my Gallery Idol post or to vote.......please scroll down! Ok, now onto business. 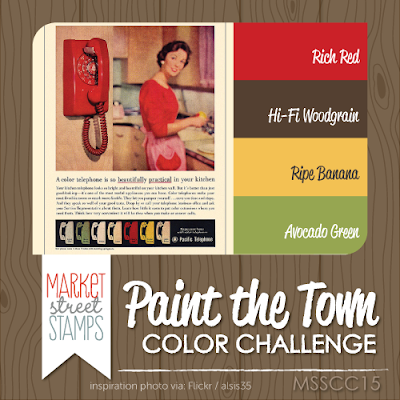 It's Market Street Stamps June Release time! This month we are featuring a new artist to MSS.....Kim Geiser. Here is a little background information about her: Kim is a local mixed-media artist who has been published in numerous magazines and is also widely known for her amazing polymer jewelry. She has begun to focus on licensing her artwork and we are THRILLED to be producing her stamps! Now it's time to go check out what the rest of the Design Team has whipped up for this release. Check out the Market Street Stamps blog......HERE. You will LOVE all the inspiration with these new stamps! Hi everyone! I am so excited to share my exciting news (if you hadn't already heard it)! I made the Top 20 in Paper Crafts Gallery Idol 2012 card contest! I'm still in shock but so so excited for this journey! You can see the Papercrafts post HERE! Round 2 theme is YOU COLOR MY WORLD incorporating color and rainbow themes. My card uses the Peace sign diecut from My Favorite Things. I first layered some copy paper with strips of rainbow cardstock. Diecut this with peace sign. 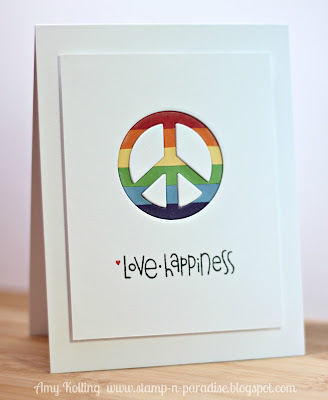 I then diecut another peace sign onto white cardstock and kept all the pieces. 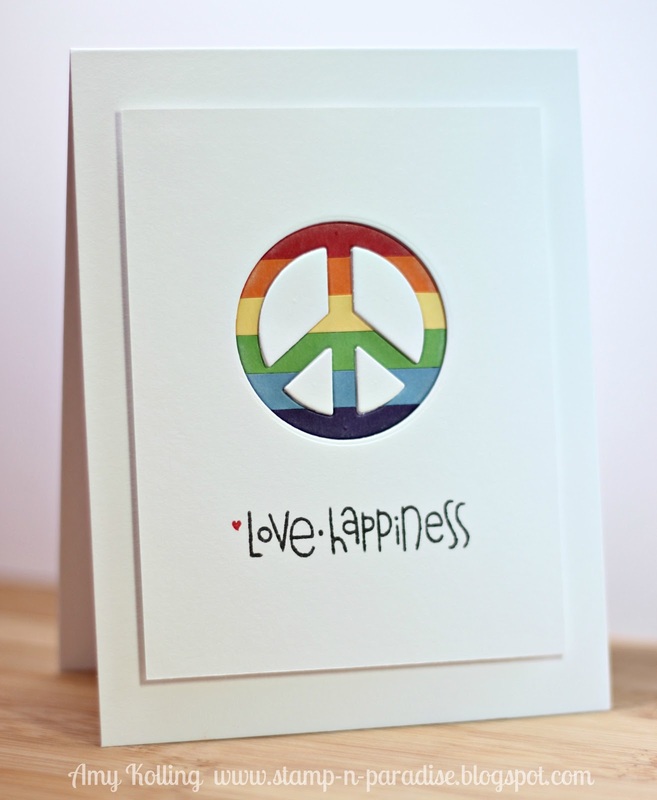 The idea is that my rainbow Peace sign is actually set below the negative by using foam adhesive! My sentiment is from the Vegtastic stamp set from Paper Smooches but I cut off the "peas". I then selectively stamped the sentiment in black and then inked up the heart separately in red. One last photo to show the dimension and the peace sign inset into the negative. There you have it! My submission that I **HOPE** you like enough to VOTE for me. I know it's simple but I stayed with my first idea (there were many). Thank you so much for all the texts, FB messages, emails, and phone calls about my news. These mean more than you all know. Hugs! !